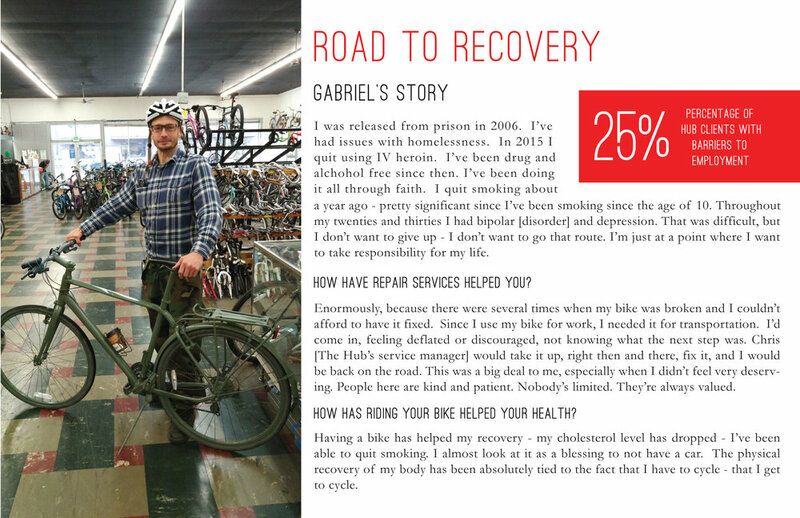 Reflecting on the accomplishments and trajectory of the Northwest Hub over the past year, a longtime volunteer and minister reminded me with some astonishment that only 5 years ago we were refurbishing bicycles in a cramped church basement. While I am inclined to always see room for improvement as we move forward, it is grounding to also see how the generosity of our community and providence has moved us forward in these past four years. Thank you for being part of our story and development! The accompanying data and testimonies offer a small glimpse of what we’ve been up to; your generosity as patrons, donors, volunteers and supporters will determine where we can go. What is The Northwest Hub? 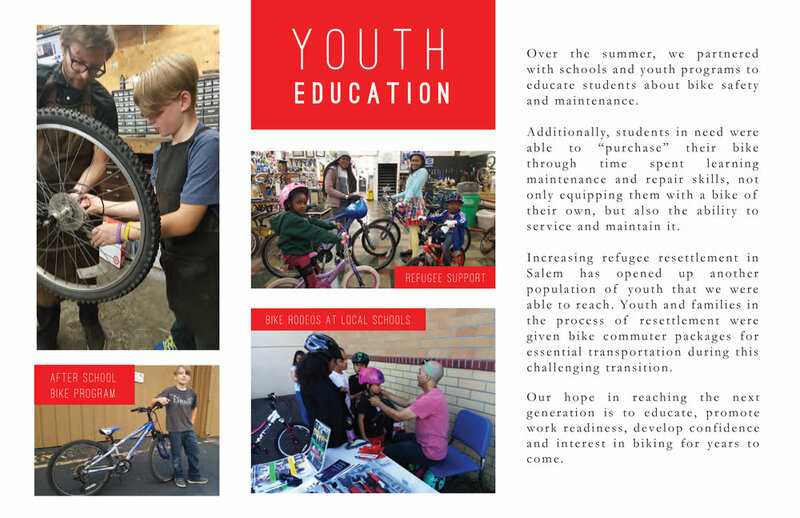 The Northwest Hub is a not-for-profit full service bicycle shop, bike reclamation program and training center. Proceeds from our cycling center directly serve neighbors in need of transportation who "purchase" a bike through service to our community. 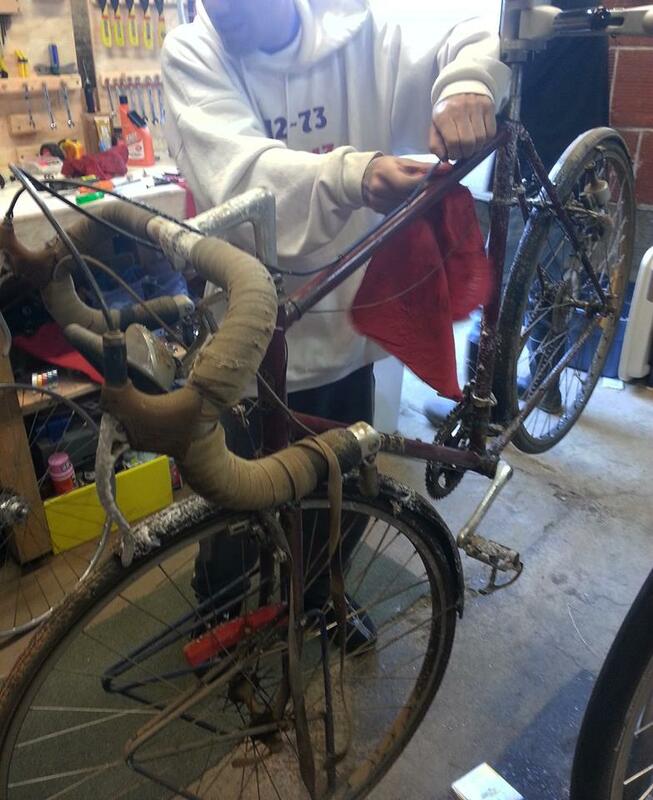 Volunteers help us reclaim bicycles that would otherwise be scrapped or end up in the landfill. (See "Volunteer Opportunities" for how to apply). Those same bicycles mobilize neighbors in need of transportation so they can find jobs, make appointments, save time over walking, and enjoy the great outdoors. 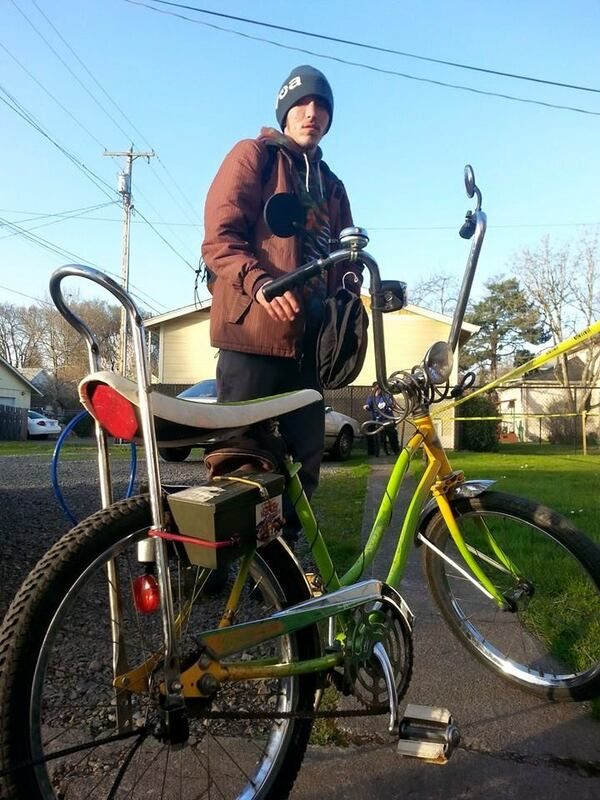 Shawn (below) now has a full time job at Fred Meyer, thanks to our help. His next goal: a car. 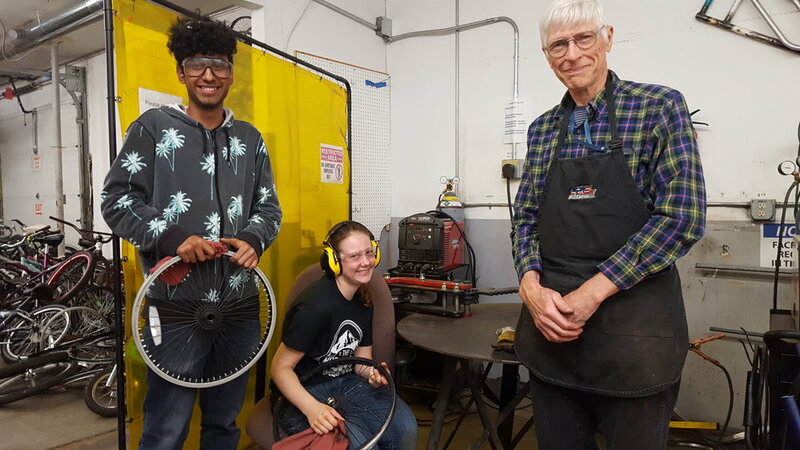 Long term volunteers get repair education, and can learn fabrication techniques like machining and welding. 1. Make a tax deductible contribution. Your donations are efficiently used to help mobilize and empower neighbors. 2. 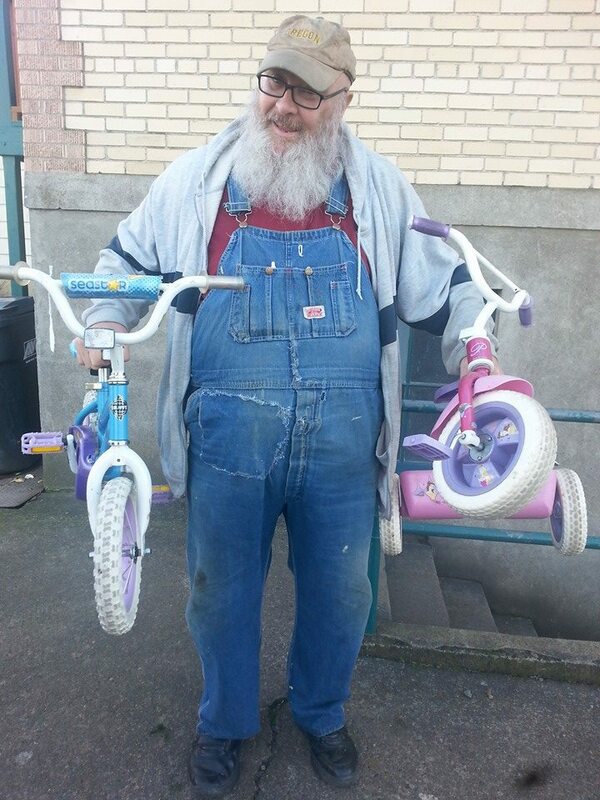 Donate your unwanted bike - your donation is tax deductible. 3. Come into our store and check us out. 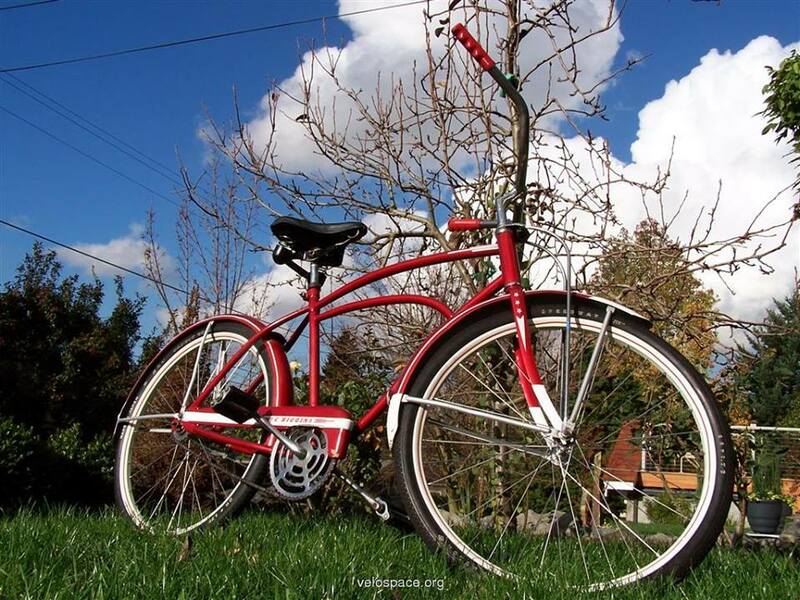 Invest in a new or used bike, all-weather clothing, accessories, or repairing your bike. 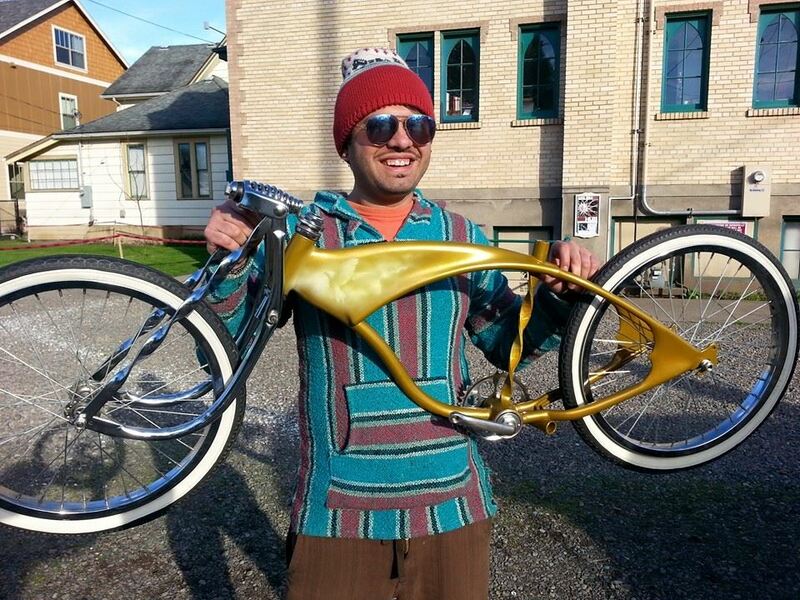 Used bikes save precious resources and over 500 lb of CO2 emissions over new bikes. 4. Volunteer your time with us - our volunteers are our most precious asset! The Northwest Hub is a non-profit organization per IRS Code 432.56.215-B, section 501(c)(3). Our tax identification number is 32-0439729. Our group exemption number is 31954. The Northwest Hub provides affordable new and used bikes, lights, locks and other accessories, all-weather clothing, used bike parts, and amazing service, all at some of the most attractive prices in our region. 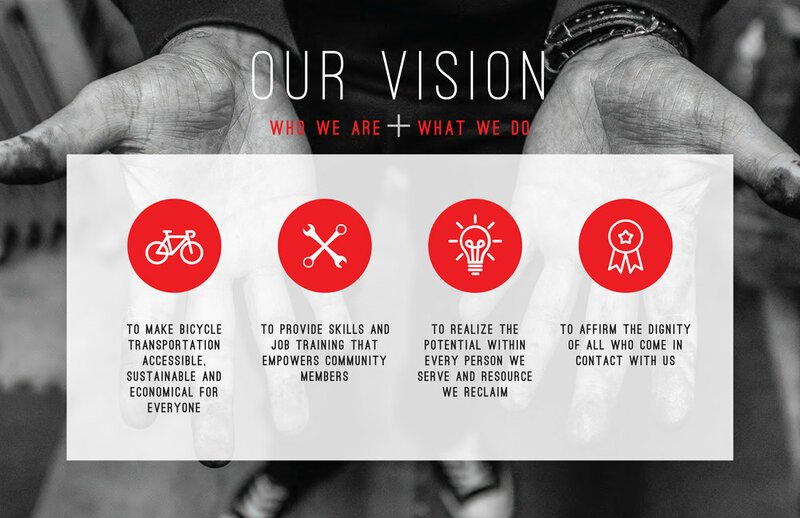 As a non-profit, we are able to turn your investment into transportation, training and jobs for disadvantaged Salem residents. The Hub is excited to be partnering with KHS Bicycles, Marin Bikes, and Kryptonite Locks for 2017-18. The Hub's used bikes are a central feature of our store. 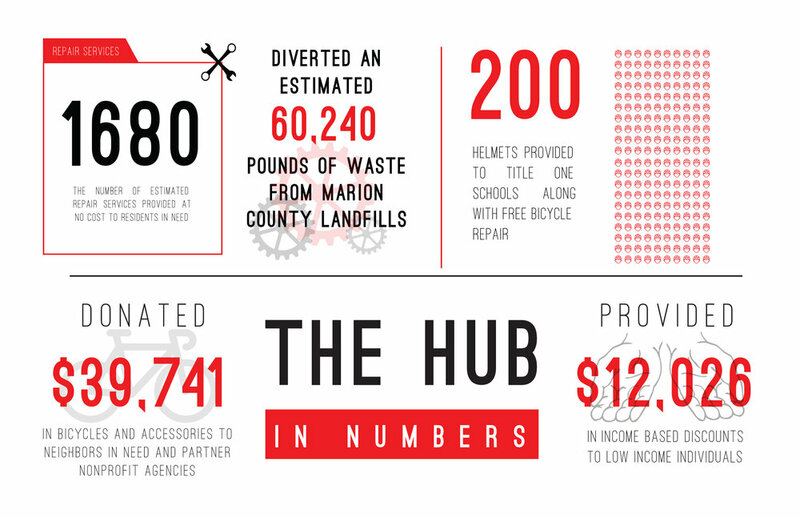 The Hub has developed a special relationship with community donors and state resources to capture a stream of bicycles that would otherwise go to waste. Some of these bikes are provided freely to our program participants in need of transportation, and others are sold to the public. All refurbished bikes are fully tuned and inspected and carry a 1 year warranty. Available at a cost far below their original retail price, they are an amazing value and contribute to our mission to provide "bicycles for all". Come in to our store today, and see how affordable owning a great bike can be. 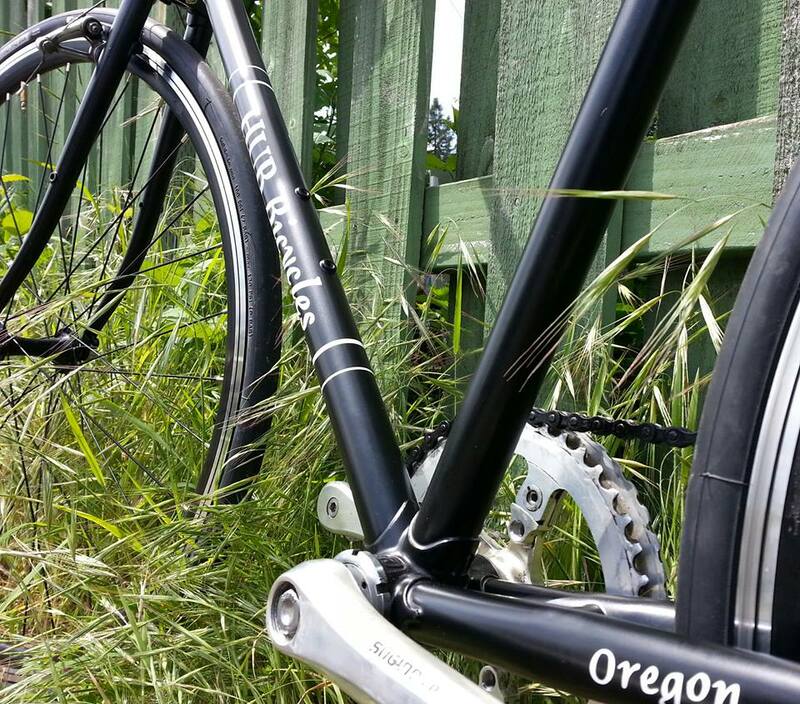 The Northwest Hub stocks an amazing array of extremely affordable used parts - from cranks, shifters, reflectors, wheels, forks and handlebars to used accessories like racks and fenders. Parts vary from $1 to $8 generally. 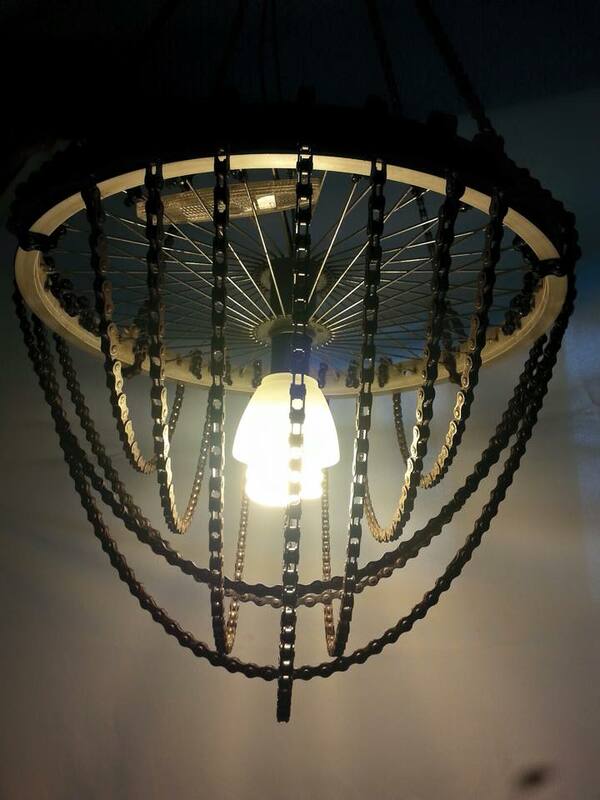 The Hub continues to explore various "up-cycling" projects to better utilize scrap bicycles and associated parts. Currently, The Northwest Hub is building trailers and attractive yard art. 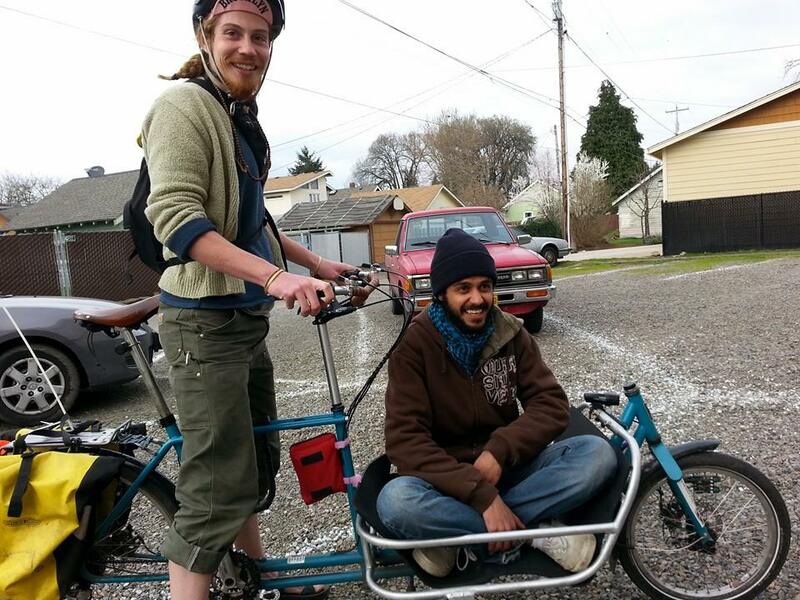 The Northwest Hub endeavors to empower our clients with the confidence to utilize their bicycle to the fullest. 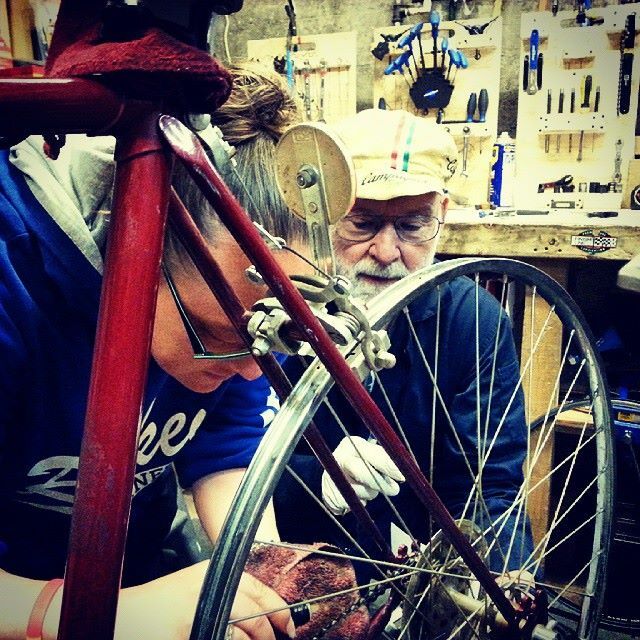 Currently, we offer a 4 week course on bicycle maintenance and repair, taught by our staff. 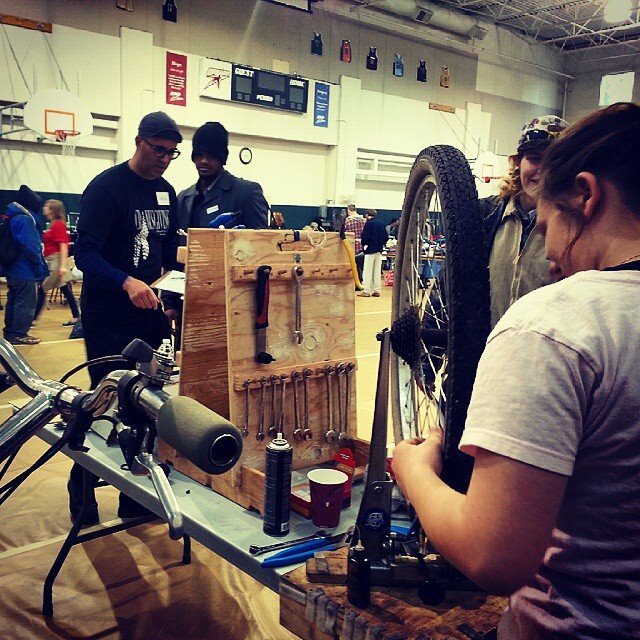 We cover 4 topics: Wheels, Brakes, Derailleurs and Headsets, teaching students the basic skills they need to begin repairing their own bike. 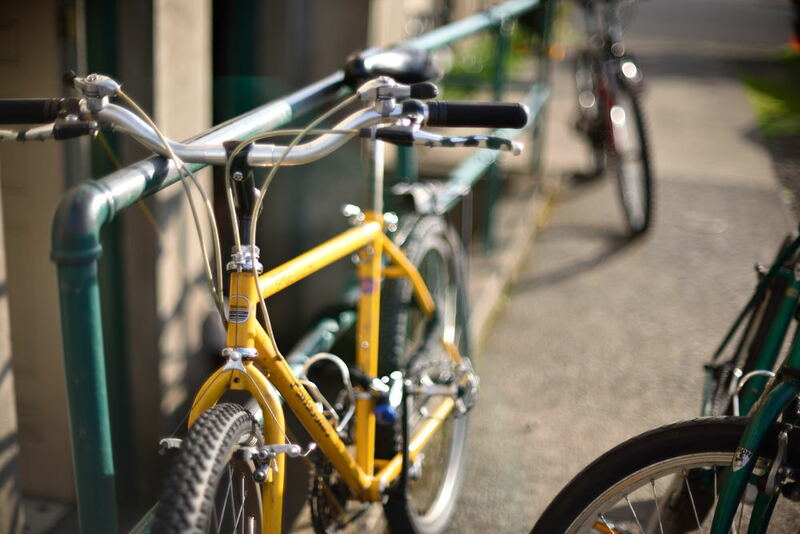 Advanced students can become trainees, assisting the Hub to reclaim the vast number of bicycles it receives, and eventually move on to paid positions with the Hub. Classes are from 6 to 7 PM on Tuesdays. Please call 503-584-1052 or visit our store in person to inquire about sliding scale prices, and opportunities for low and no income participants. 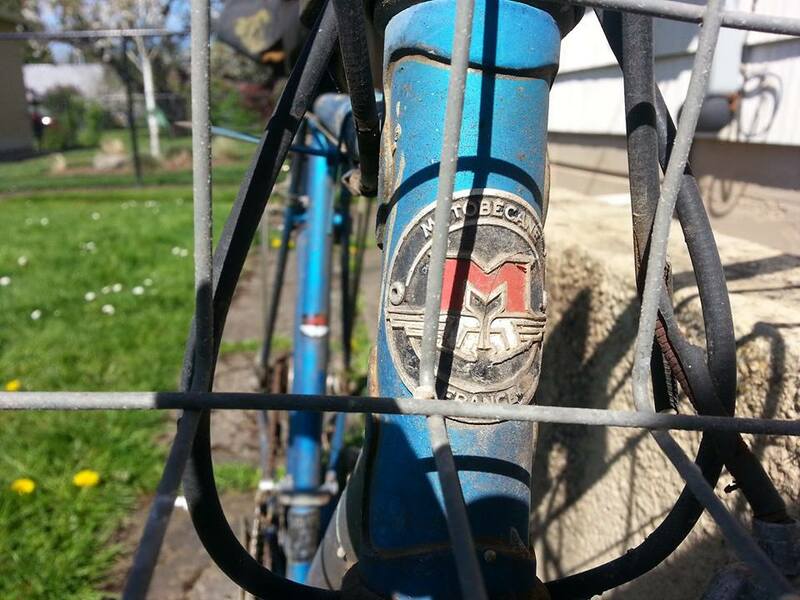 Need a bike to get you from A to B? 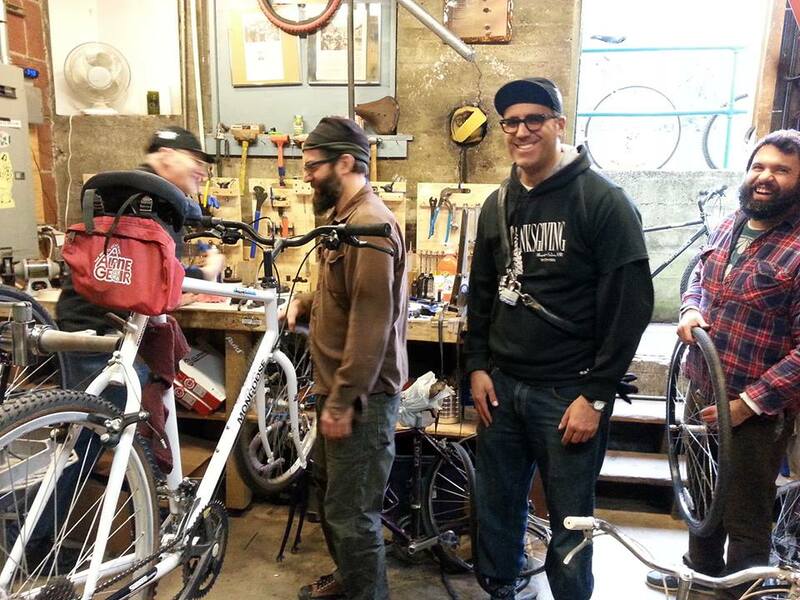 Volunteers can get a basic bike, lock and basic lights after just 8 hours of service at our shop or other qualifying nonprofits in the Salem area. 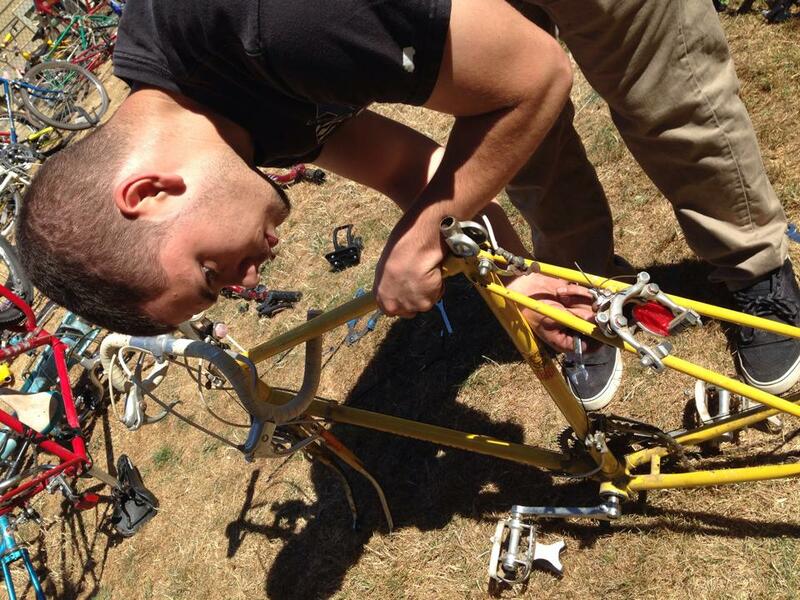 Have an existing bike that needs repair? Bring it in to see if it's repairable - those on any kind of governmental assistance get a 30% off discount on parts (labor is excluded). Or, come to our classes on Tuesday evenings and learn the skills needed to repair it yourself. 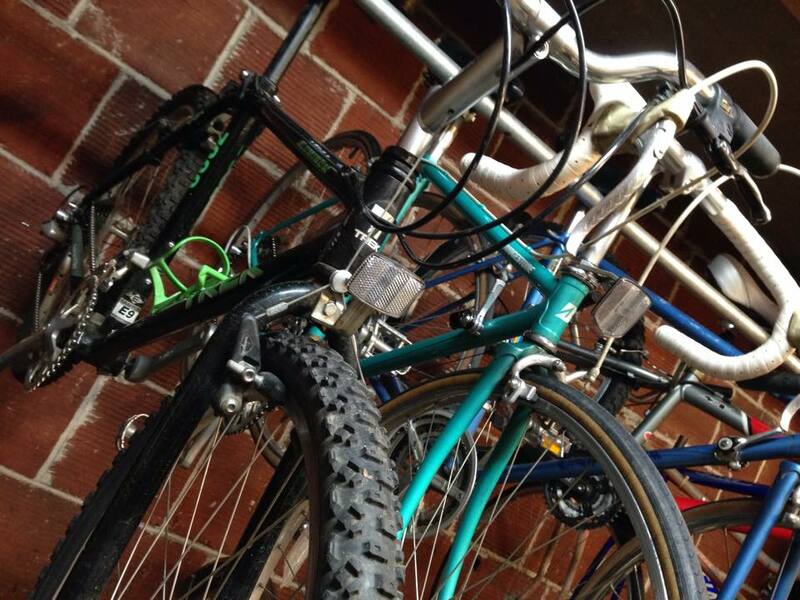 The Hub will accept non-repairable bikes as a donation. Long term volunteers get a variety of benefits. After 20 hours of volunteer work, volunteers get a free membership, which entitles them to 10% off all purchases for life, access to tools, workstations and classes. Long term volunteers are also eligible to serve on the Hub's volunteer committee, where they may seek full board member status after 6 months of committee service. You may apply online by clicking the purple icon below. After applying, prospective volunteers should call or come into the shop as soon as possible to be scheduled. The Hub is located at 1230 Broadway St in Salem. Available volunteer times vary according to need, referral process, and season. Typical wait times are between 1 and 3 weeks. Use the contact form below to reach us about products and services, scheduling a tour, donations and community partnerships, or giving your feedback. Interested in Volunteering? See above. Interested in including the Hub in your event? See Events, below. Interesting in hearing in more about the Hub's programs? Contact us to schedule a tour of our facility and learn about our service to the community. You may also subscribe to our newsletter, or donate directly using Paypal (below). Those who wish to may become sustaining donors by making their donation recurring. Sustaining donors ensure that the Hub can continue to thrive and grow, helping even more residents in Marion and Polk Counties without regular access to transportation. The Hub is a registered 501(c)(3) nonprofit, so your donations are tax deductible. The Hub is looking for qualified members of the community to join our board of directors. We are looking for individuals with advocacy, fundraising, accounting and nonprofit management experience to help the Hub fulfill its mission to serve divested Salem residents. Board meetings are once a month, and other expectations remain very reasonable. Please contact us for more details. Low income community members are especially encouraged to contact us about board service. Receive our quarterly email newsletter, sharing success stories, upcoming events and our positive impact in the community? If you wish to be reached by phone, please leave a callback time in the Message Box. Thank you for your interest in partnering with us! We will be in contact with you shortly to follow up, and confirm our interest and availability. Our community partners are so important to us - we appreciate your service to our community. Here is our calendar of upcoming events. The Hub regularly works with our valued community partners such as area school districts and nonprofits to bring the Hub's services to where they are needed. Click on a calendar event to see location, details, add the event to your own calendar, or get directions. For involving us in your own event, see below. Interested in involving the Hub in your community event? Fill out the form below. Thank you for your submission! We’ll be in touch with you soon about your event.